K-9 Handlers rely on Cirrus® to bring their dogs in from the right wind direction. Indoors and outdoors, Cirrus® can set your dog up for success faster and a much more tactical approach to any situation. Cirrus® Wind Indicator has changed the wind detection market for the first time in decades. The patent pending design allows the user to puff a vapor-like cloud in the air and detect the slightest wind or thermal currents. 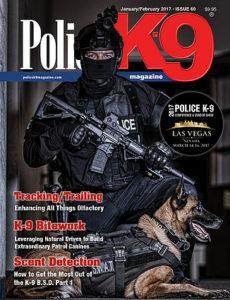 Excellent for K-9 man trailing/tracking and when doing scent detection with canines.